February is nearly here, and we're giving you a headstart in the shortest month with an update to fix bugs, make improvements and add in a pair of new features to make customizing your MapleStory 2 experience even better! Pets are a core part of MapleStory 2, and leveling up a cuddly combat companion into a powerhouse can boost your abilities in combat. But what do you do if your best brawling buddy isn't the adorable ally you love most? You can now get Pet Skin Crafting Scrolls from the Style Coin Shop to create your own Pet Skins! Combat and non-combat pets can have a custom skin made from their look. This holographic skin can be equipped like any other Badge, and will change the appearance of any combat or non-combat pet you have summoned. Making a house can be a difficult prospect to tackle, involving placement of a great many blocks and coming up with a layout for the entire site. House Blueprints are a shortcut that allow expert homebuilders to give those newer to the housing system something to work with, and make a few Merets along the way! Enterprising designers can enter the Blueprint Designer, where they will be able to design a house in the same manner as the normal design tool, placing currently available blocks into the new house. When you're happy with the design, you can spend 200 Merets to turn your design into a Blueprint, which can be sold to other players through the Design Shop! Dungeon Reset (Beta) experiment ends: ‘Reset Count (Beta)” button at Challenge Map window will no longer reset the Dungeon Cleared count. Toad’s Toolkit fragments will no longer drop from Hard Adventure Dungeons and all Toad’s Toolkits and fragments will expire as scheduled. Get all of the information on this month’s events in the Ming Ming’s New Year Events post! Hard Dungeon Delight Event: Get double drops in Hard Adventure Dungeons until March 28th! This event will start when weekly reset happens on February 1st UTC 00:00. Ming Ming’s Shop Event: Earn Lucky Pig Coins from other events and trade them into Ming Ming’s shop for a wide selection of items, including special event-only mounts and outfits! Dumpling Festival Event: Collect Dumpling Filling by completing tasks throughout MapleStory 2 and craft Dumplings for a collection of utility items and Lucky Pig Coins! Lucky Piggies Event: Free the piggies and let them fly to celebrate the new year, and get Lucky Pig Coins as a bonus! Shanghai Crazy Runners Event: Take part in a special Crazy Runners course every half hour, and complete the course for a bonus Lucky Pig Coin! Get all of the information on this month’s events in the Lunar New Year Sales post! February Style Crate: It’s a day early, but we have a new Style Crate filled with flirty, colorful and downright adorable outfits! Lunar New Year Bundle: A bundle for celebrating the Lunar New Year, featuring a traditional Korean Hanbok, the new Kowtow emote and a Chat Bubble and Name Tag for the holiday! Sweetheart Style Crate Bundle: Get a set of 10 Style Crates with the new Sweetheart Name Tag thrown in for free! Lunar Chick Trio Pack: A set of absolutely adorable little chicks, newly hatched and ready for the new year! New Hairstyles: Paulie’s now giving out the Angelic Layers and Rich Boy Hair for male characters, and the Fantastic Ophelia Hair and Star Candy Hair for female characters! Housing Boom Event: The boom continues into February as plots of land, furnishings and furnishing packages are given a steep discount! White Day Furnishing Package: Get a package full of sweet and tasty decorations for your house! New Face Styles and Cosmetics: Dixon and Ren have kicked things into high gear with a pair of new face styles for both genders, plus a total of 5 new cosmetic options! Toad's Toolkit Fragment will no longer drop from Hard Adventure Dungeons. Dungeon Reset Beta feature has been removed. HTML tags can no longer be used in character motto. The daily quest under the “Hoard Things” section will now specify that you can harvest items from a snail pen in “your” home instead of “any” home. The “Soul Dimension” and “Dimensional Barrier” listed as connecting maps for Ellinia has been removed. Holding an interactable object will no longer disappear while the Soulbinder’s Narubashan Unleash skill is active. The correct image for the Dark Wind faction will now correctly appear when accepting and completing the mission, “Rampaging Robots”, in Brazilian Portuguese. Resolved an issue where guilds with over 70 members couldn’t be searched. Players will no longer be able to bypass the dungeon blockade in Ludibrium Clock Tower for Chaos Raids after depleting their dungeon revivals. Updated the grammar in the tooltip description for the Tin Training Dummy and Snowman Training Dummy. The skill description has been updated for the Priest’s Steadfast Faith to better clarify how the skill works (skill remains unchanged). Renamed "Soul Binder Master" trophy to "Master Soul Binder" to match other trophy formatting. Players can now be searched in rankings after changing their name. Made it easier to use the mouse to interact with Joddy in the "A Late Regret" epic quest. In Dark Descent, the points deducted at damage will now only deduct up to damage taken in and will not go beyond available HP. Ad Balloon titles can no longer exceed 15 characters. Added a clarification to Buddy emotes that states how different gender combinations may produce different animations. Rolling Dance emote no longer uses /roll, since this was also used for generating a random number while in a Home. It's now easier to select "On" with a Trigger Editor on furnishings such as the All-in-one Smart Computer in a Home. Items that have two character names listed under bounded will now have the one character name listed instead. Players with high ping will no longer be able to cast mantra empowered abilities twice in a row while playing as a Soul Binder. 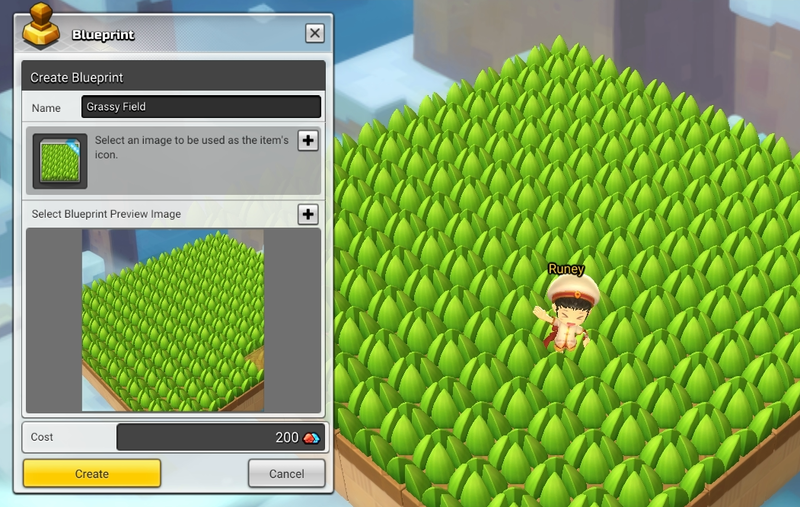 MapleStory 2 - Starter Pack DLC items are not properly delivered after being purchased. Please submit a ticket to Customer Support if you are impacted. Item descriptions are missing for Gold Star Cymbals, Snare Drum, and Bass Drum. Macros that combine Spirit skills with non-Spirit skills will cause certain skills to not activate when Spirit drops below 40 points. The trophy "My Personal Ring Artisan" can't be achieved. Level 50 Rooks Agents are spawning in Stone Quarry (level 30). Missing multiple basic attributes for Soul Binder's armor pieces in the Shadow Gear shop.